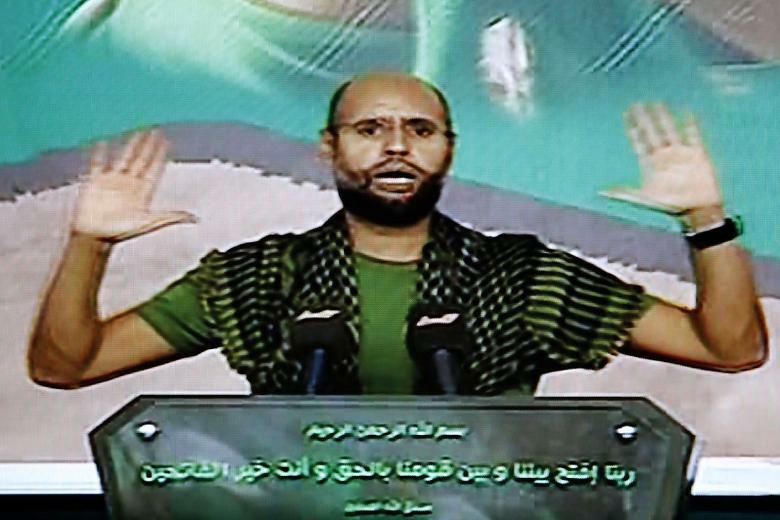 Judges at the International Criminal Court (ICC) have finally ruled on Libya’s admissibility challenge regarding Saif al-Islam Gadadfi. The ICC’s Pre-Trial Chamber has decided against Libya’s request to try Saif in Libya and have reiterated their demand that Saif be surrendered to The Hague. In this Admissibility Challenge, the Chamber has not been provided with enough evidence with a sufficient degree of specificity and probative value to demonstrate that the Libyan and the ICC investigations cover the same conduct and that Libya is able genuinely to carry out an investigation against Mr Gaddafi. The Chamber finds that the present case is admissible before the Court and recalls Libya’s obligation to surrender the suspect. 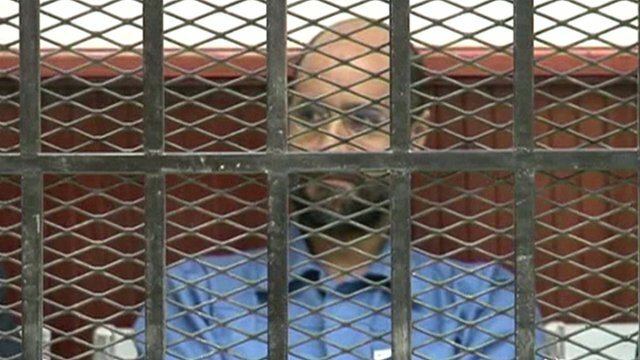 Today, 31 May 2013, the Pre-Trial Chamber I of the International Criminal Court (ICC) rejected the challenge to the admissibility of the case against Saif Al Islam Gaddafi suspected of crimes against humanity of murder and persecution, allegedly committed in Libya from 15 February 2011 until at least 28 February 2011. The Chamber reminded Libya of its obligation to surrender the suspect to the Court. The Libyan authorities may appeal this decision or submit another challenge to the admissibility in accordance with article 19(4) of the Rome Statute. A challenge to the admissibility of the case is granted if the case is being investigated by a State which has jurisdiction over it, unless the State is unwilling or unable genuinely to carry out the investigation or prosecution. The challenge to the admissibility of the case against Mr. Gaddafi was submitted by Libya on 1 May 2012 and the Chamber conducted an assessment of the evidence presented by the parties and the participants.The Chamber concluded that it has not been sufficiently demonstrated that the domestic investigation cover the same case that is before the Court. In addition, the Chamber recognized Libya’s significant efforts to rebuild institutions and to restore the rule of law. The Chamber, however, stressed that the Libyan State continues to face substantial difficulties in exercising fully its judicial powers across the entire territory. Namely, the Libyan authorities have not been able to secure the transfer of Mr Gaddafi into State custody and impediments remain to obtain the necessary evidence, and secure legal representation for Mr Gaddafi. You can also listen to an MP3 explaining the Court’s decision here. First, it is important to remember that this ruling pertains only to the case of Saif al-Islam Gaddafi. Libya’s admissibility challenge regarding Abdullah al-Senussi is still pending and, as I think many legal scholars would concur, stands a better chance of succeeding. …Libya is, in the view of the Chamber, unable to secure the transfer of Mr Gaddafi’s custody from his place of detention under the Zintan militia into State authority and there is no concrete evidence that this problem may be resolved in the near future. the Chamber is concerned that this important difficulty appears to be an impediment to the progress of proceedings against Mr Gaddafi. If this impediment is not removed, a trial cannot be conducted in accordance with the rights and protections of the Libyan national justice system, including those enshrined in articles 31 and 33 of its 2011 Constitutional Declaration. Despite these concerns regarding Saif’s lack of defense counsel, the Judges made no substantive comments on the debacle that was the month-long detention of four ICC Defence staff representing Saif. Libya has been found to be unable genuinely to carry out the investigation or prosecution against Mr Gaddafi. Therefore, the Chamber need not address the alternative requirement of “willingness” and, in particular, the issues raised by the Defence about the impossibility of a fair trial for Mr Gaddafi in Libya. Fifth, this is not just a loss for Libya’s case but for the ICC’s Office of the Prosecutor (OTP) which, from the very beginning, sided with Libya. Many observers, including myself, have questioned why the Prosecutor has been so lenient towards Libya (see here for some possible reasons). Along with Libya, the OTP will have to carefully consider what its next move will be (see the last point below one suggestion). Sixth, this isn’t over; not even close. 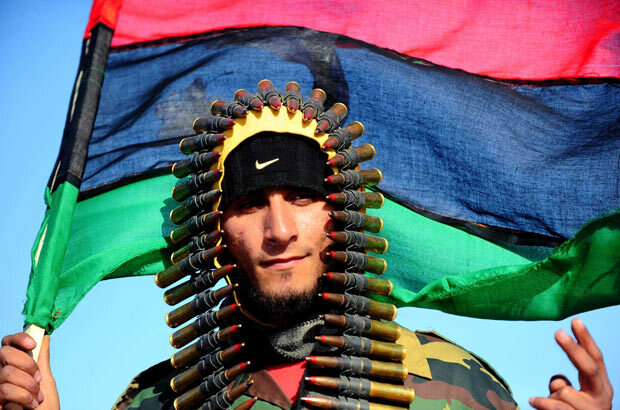 As the ICC’s press release stated, Libya is free to appeal the decision. Expect them to do so with fervour. Given the extent to which the ICC judges relied on the fact that Saif was not in Libyan custody, one can easily expect the government to dramatically increase efforts to get Saif into the custody of central authorities. It would certainly help any potential appeal. Seventh, it will be fascinating (and likely frustrating) to see what the ‘international community’ and, in particular, the Security Council (which put the ICC’s intervention into Libya in motion) will react. They have stated that Libya should “cooperate” with the ICC but otherwise have remained quiet on the subject, often using the ongoing proceedings as an excuse for their silence. That excuse just reached its expiration date. Lastly and perhaps most importantly, the Court’s ruling should not necessarily be seen as ‘the end of the road’ or as a ‘dead end’. The ruling presents an important opportunity to reopen discussions about how the ICC and Libya can constructively cooperate with regards to trying Saif – and Senussi. As I have previously argued, the black-and-white / either-or debate about where Saif and Senussi should be tried has deflected from possible middle-ground solutions, such as a sequencing of trials or having an ICC trial ‘in situ’ in Libya. Re-opening negotiations on such options is only more pressing, given the reality that Libya isn’t going to be handing Saif over to The Hague. There still remain more questions that answers and, of course, there will be much more to say in the coming days. This is only the beginning of a new chapter in the debate on where Saif should be tried – and by whom. As expected, Libya is set to appeal the Pre-Trial Chamber’s ruling. Kevin Jon Heller’s shares his very interesting thoughts on the admissibility challenge ruling here. Also, Dov Jacobs asks an important question: If Libya’s admissibility challenge to the ICC is rejected because Libya isn’t able to get custody of Saif, how can Libya be expected to comply with the Court’s duty to transfer Saif to The Hague? This entry was posted in Admissibility, International Criminal Court (ICC), Libya, Libya and the ICC and tagged Saif al-Islam Gaddafi. Bookmark the permalink.